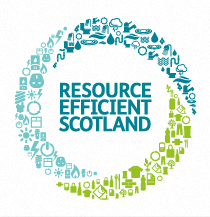 The 2015/16 Resource Efficient Scotland Loan Scheme has opened for applications. Could your business take advantage of an unsecured, interest free loan from £1,000 to £100,000? Resource Efficient Scotland loans are funded by the Scottish Government to help businesses reduce costs through improved energy, material resource and/or water efficiency. • Available to Scottish SMEs (as defined by EC), private sector landlords, not-for-profit organisations and charities. • Loans are available from £1,000 to £100,000. • Loans are interest free (unless you are applying for a renewable technology and will receive Feed-in Tariff or Renewable Heat Incentive, in which case the interest rate is 5 per cent). • No set up charges. • Investment can be set against capital allowances and some technologies are also eligible for Enhanced Capital Allowances (See: Energy Technology List). • Act fast - applications are awarded subject to the ongoing availability of loan funds. Would like to implement a similar project in your organisation? Do you think a loan could support another resource efficiency project in your organisation? Contact Zoe to find out more.